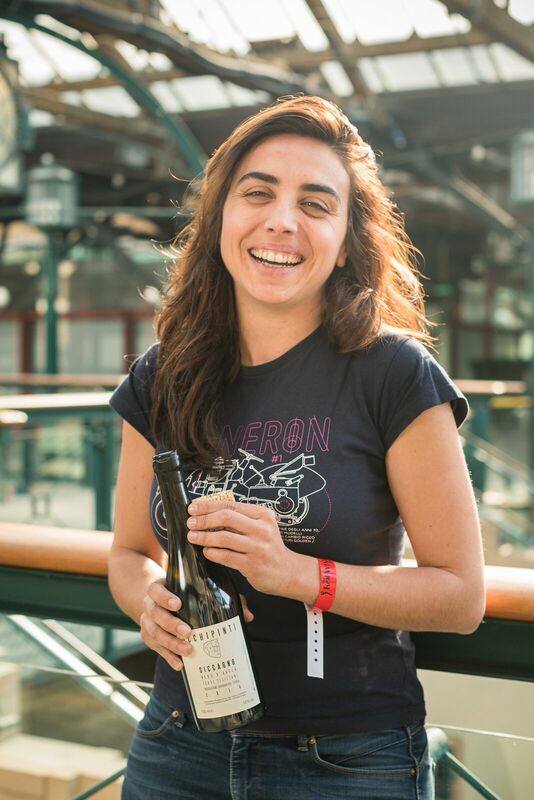 Arianna Occhipinti at the Real Wine Fair 2017. Arianna Occhipinti works in the vineyards, finding an endless source of inspiration through observation. In particular, during the last few years, she has not only been focused on the splendid varieties of Frappato di Vittoria and Nero d’Avola, but also on the soil and on the potential of the various districts or contrade of Vittoria and their particular influence on the final wines. The fluidity, the everchanging character of this wine is truly remarkable. Every time you think you have it pinned down, it throws something else at you. Hitherto, we have taken the SP 68 Rosso and Bianco, both aromatic wines with that bit extra. Arianna’s Frappato is super-charged. Long known as a blending grape, Frappato, in her hands, is an extraordinary wine in its own right. 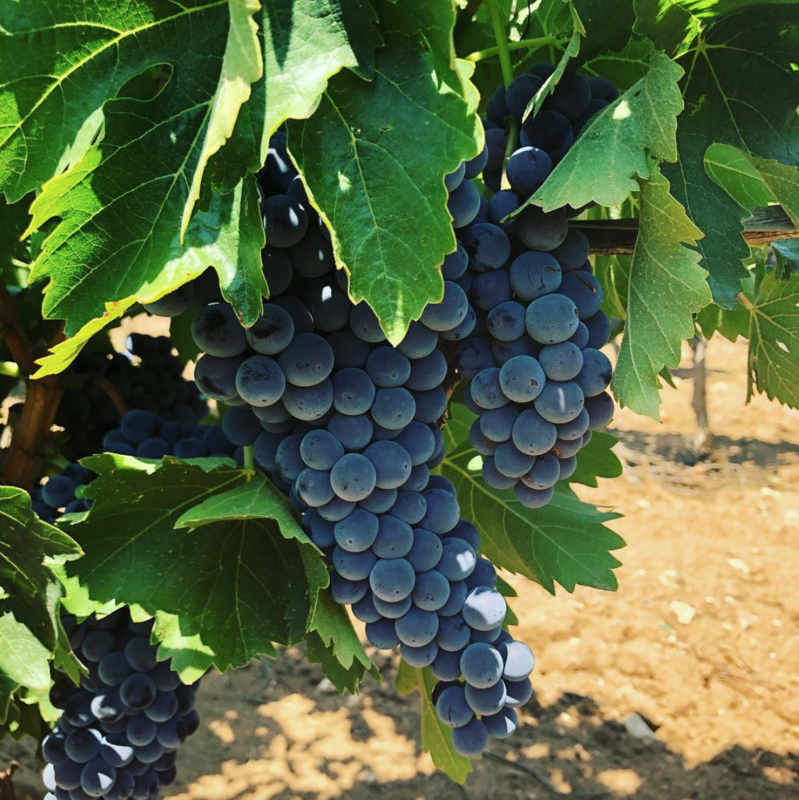 Light in colour yet remarkable in complexity with notes of cherry, raspberry and white pepper, this wine shows cool climate characteristics in Sicily. 70% of the Frappato is macerated for two months on its skins, while the other 30% stays on its skins for eight months. The fluidity, the everchanging character of this wine is truly remarkable. Every time you think you have it pinned down, it throws something else at you. Here you are smelling cherries, and in come the figs, the raisins, before a whiff of fresh-cooked strawberries runs by. Pepper? Or is that smoke? Or maybe dried leaves. Or…no, maybe more blood orange. And then there’s that floral character. A little volatile acidity is there, but it gets completely swallowed up by the swirl of aromas that keeps dancing around in the glass. Arianna has now delved deep into the origins of the grape. The vineyards alternate on this game of sand and limestone; presenting themselves in the expression of the wines with fresh fruit and silkiness from one side, but also with great acidity and energy on the other. During vinification, Arianna works to preserve these elements whilst considering every aspect of every vineyard. This continuous research has been helpful to identify four vineyards for the SP68 between Santa Teresa, Bastonaca, Spedalotto e Bombolieri, two vineyards for the Frappato, Bastonaca and Fossa di Lupo; and two for the Siccagno, Bombolieri and Fossa di Lupo. The same exploration motivated her to go further, thinking about the concept: one vineyard – one wine. Or better yet, three wines. She vinifies each wine in the same way so as to highlight the nuances. 20 days maceration (no extraction) in cement vats, wild ferment, 20 months in Austrian oak, a further few months to settle and then bottling with filtration or clarification. Pettineo, an historic contrada, a term used to refer a small district of the countryside, is located beyond Serra San Bartolo ridge; historically it has always produced very elegant wines thanks to a deep layer of marine sand (50-60 cm), with little presence of limestone rocks on the surface. The Chiusa di Pettineo vines are nearly 60 years old. Originally planted in a head trained or albarello system, the previous owner then transformed the vines into a trellised system, now with the vines climbing between the trellises into monumental heights. 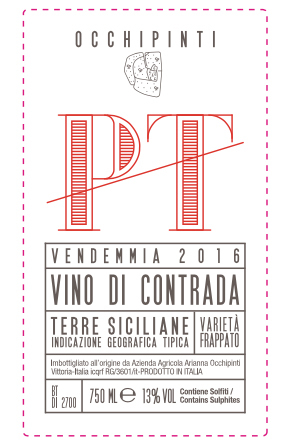 The wines of the Pettineo are usually fruit-driven with silkier tannins, yet possessing lively acidity. Bombolieri is situated on a point with high limestone content in the soil, facing the Serra San Bartolo. Here the soils can vary from colours of deep chestnut to white, but the surface layer of sand is decisively lower: only 25 cm. Just below this thin layer one will find solid limestone. In a part of this contrada you will find more clay-limestone soil, visibly different with more of a presence of white on its surface. 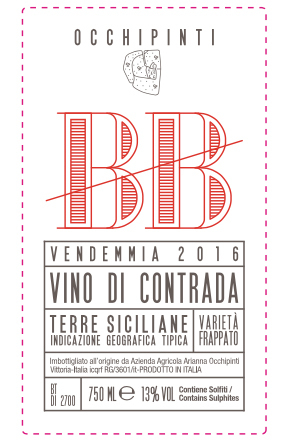 It’s here, in the Vigna Strada, that this wine is born, floral and straightforward, with highly persistent acidity. And the grape? Frappato, the historical variety of Vittoria, which Arianna is devoted to, may present itself variously as delicate, austere, and bloody. Here Frappato is an instrument to transmit the terroir, reading the earth, the smells, the daily perceptions, and converting them into wine.